The apartment is a nice size for 2 and was ideally situated for us, being only a 10 minute walk in to the centre with all the shops, restaurants and sights. Manos greeted us with lots of information about the city and recommendations on where to eat! It was a charming apartment, with lots of character. Very close to the city centre, as well as the Venetian wall. The owner is very welcoming and hospitable and was very helpful. He took me into the mountains, which I would never have seen on my own. Excellent location, incredibly beautiful house and wonderful host; Manos (the owner) met me at the ferry terminal when I arrived late in the day; when he drove me to the house, he showed me all the important places in the vicinity, where best to eat, how to get quickly to the main points of interest. If I could, I would stay longer and definitely, if I ever again in Heraklion, I want to stay there again! The apartment is 5 minutes walk from the shops and cafes of central Heraklion and within 10 minutes walk of all the major attractions. 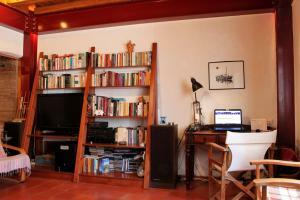 The area is perfectly safe, the apartment is very comfortable, and Manos was an excellent host. We picked up the key at 9pm and then agreed a time for Manos to collect the key when we departed. We would recommend this apartment to friends and family. A particular highlight is the fish tavernas on the seafront. The Heraklion experience was great all the way. Mr. Manos was expecting me and kindly explained everything (including 3 great taverns, few shops and scenic walks) together with a tour round the apartment. The flat is fabulous: location 4 minutes walk from main square, great living room with a place for work, very fast internet and extremely wonderful terase in the second floor. You will spend a lot of time there, thats how cool it is. Bedroom - which is also on second floor - is cosy and nice, surroundings are quiet and you can expect to have a great rest if needed. The rest of the facilities are also nice and - not to forget - very clean. 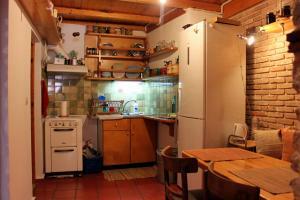 There are all kinds of kitchen appliances available, from toaster to coffee maker. This apartment is in the quiet neighborhood. It's only a five minutes' walk to the center of the old town and a three minutes' to the bus stop for the airport. The living room, bedroom, and kitchen are clean and comfortable. Manos, the owner, is very kind and helpful. He gave me information about the town and where to eat. 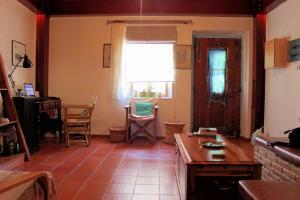 Close to main attractions is a perfect solution for visiting the town. Cozy and comfortable, terrace top! Host very kind. Super! Nice place, very cosy close to the historical centre. Everything can be done on foot. Lock in a great price for Old town Heraklion apartment – rated 9 by recent guests! One of our top picks in Heraklio.Featuring a garden, Old town Heraklion apartment provides accommodations in Heraklio with free WiFi and garden views. This apartment is a 10-minute walk from Venetian Walls and 1.3 miles from Municipal Museum of the Battle of Crete and the National Resistance. This air-conditioned 1-bedroom apartment includes 1 bathroom equipped with a bath. 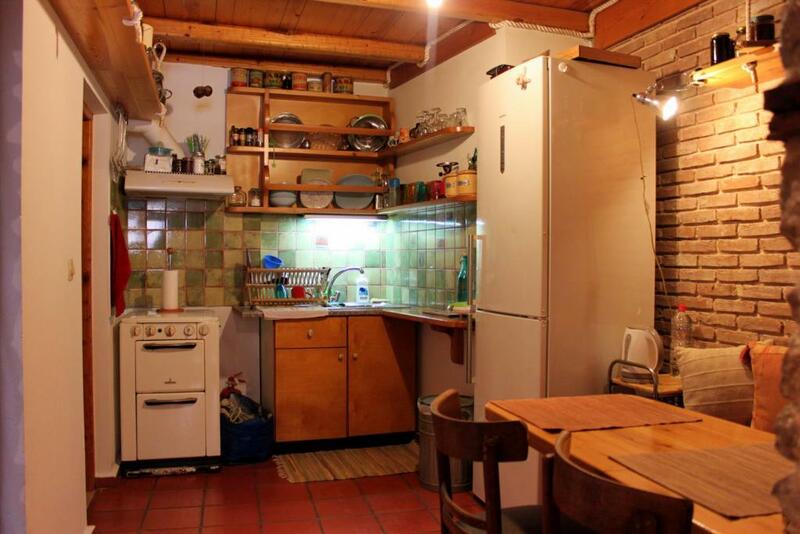 There's a seating area and a kitchen equipped with an oven. Heraklion Archaeological Museum is 1.4 miles from Old Town Heraklion Apartment. The nearest airport is Nikos Kazantzakis Airport, 4.2 miles from the property. 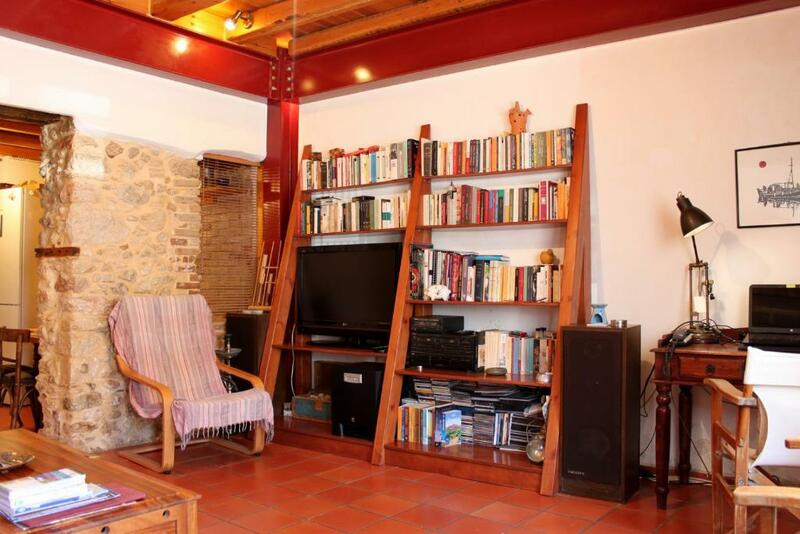 When would you like to stay at Old town Heraklion apartment? 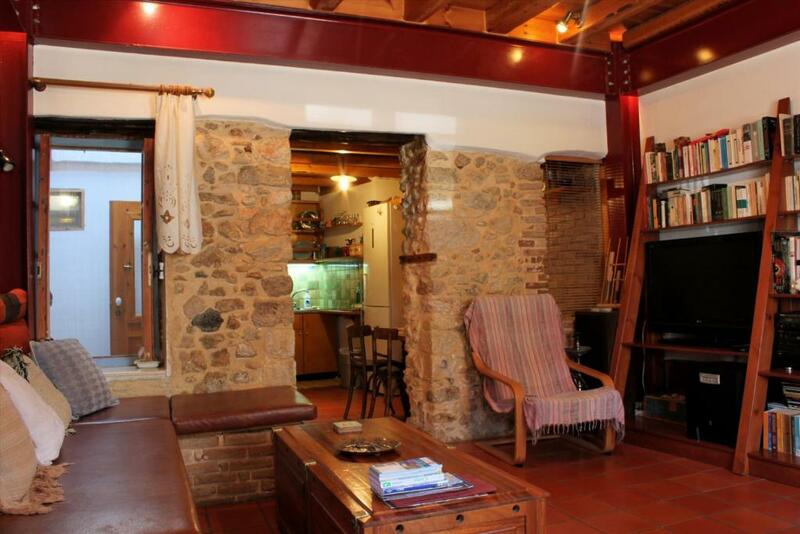 A very cozy traditional house in the historical center of Heraklio city, 50 meters from the Venetians walls. Feature include exposed stone walls. Large balcony with lots of flowers and a hammock . Fully stocked kitchen. Comfortable large lounge room with a big sofa bed for a third person.The building is hard to date (somewhere in 19th century),rebuild in 2005. In a quiet neighborhood 5 min. walk way from the archaeological museum and the center of the town and 2 min. walk way from the bus stop to Knossos.If you want to be in a quiet and peaceful place right in the center of the city, well this is it. I like music and reading very much..I also love to work with bees and go for camping when I have time for it. 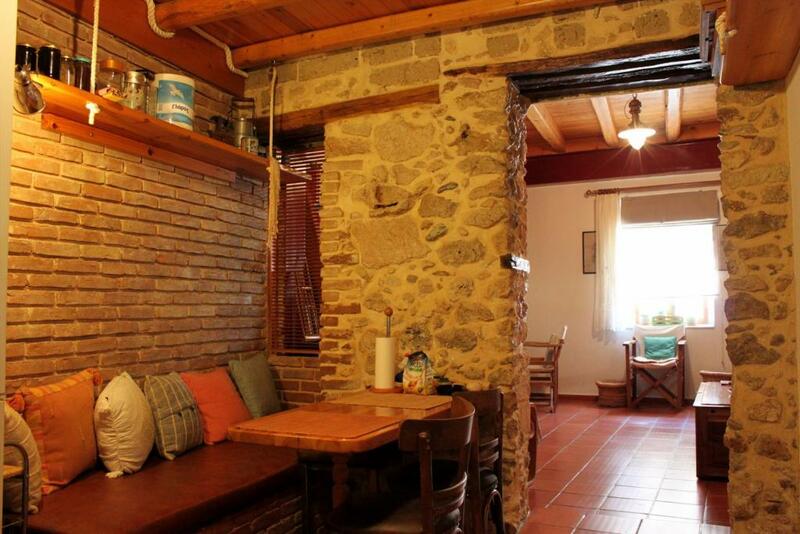 The house is at the "old city"of Heraklio with lots of low rise old houses,in a peaceful and quiet neighborhood. 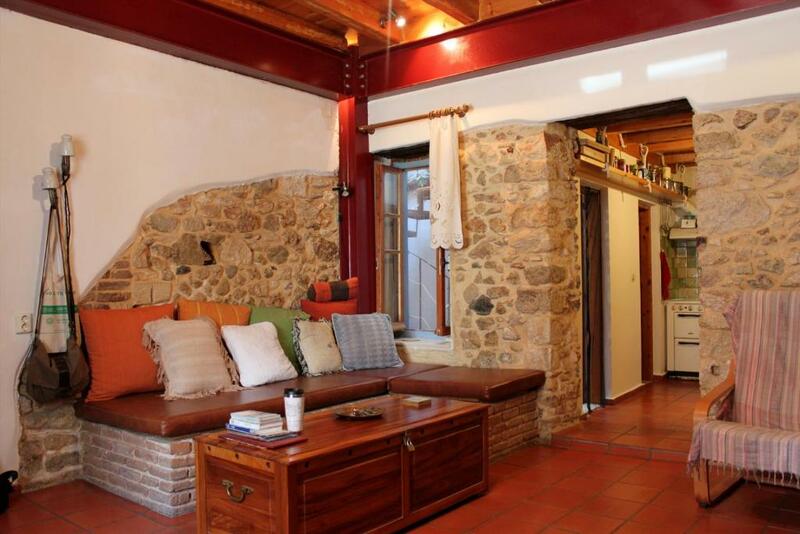 House Rules Old town Heraklion apartment takes special requests – add in the next step! Please inform Old town Heraklion apartment of your expected arrival time in advance. You can use the Special Requests box when booking, or contact the property directly using the contact details in your confirmation. If you rent a car, be wary while driving, the drivers of cars and motor bikes are seldom "polite". The bedroom at Heraclion Old Town Apartment is on the second floor. Unless you are a nimble elderly person, you would find the climb up to the bedroom via a circular staircase difficult. The patio on the roof is a very pleasant place to be in the evenings. There is a spiral staircase to the bedroom. You need to be aware of if and to be careful. The staircase does have character though and I experienced no difficulty with it. Mangos was a Good host. Excellent location. I loved the uniqueness of the apartment and the beautiful outdoor terrace with plants and flowers. Manos was really helpful and there to welcome me on arrival.